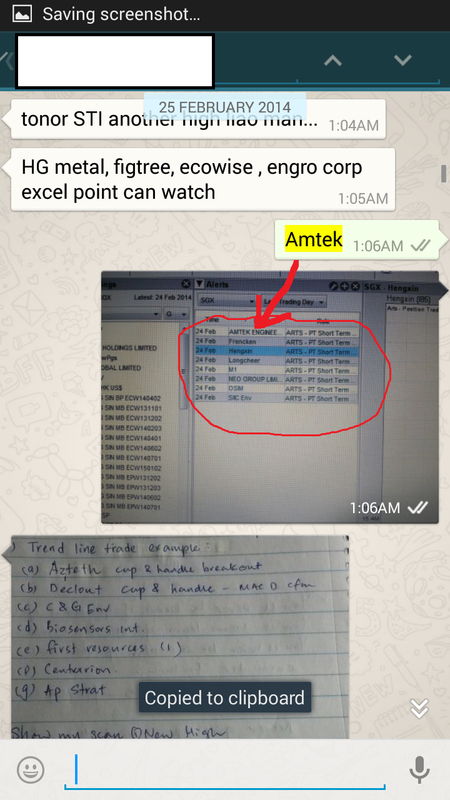 On 24 Feb, our Short term Scan show Amtek as one of the possible trade not next day, just nice that night I am chatting with a student on what stock to see the next day. Every night we prepare for tomorrow's trade. Our Short Term Scan help us to do most of the Job by picking up just few stocks from the whole list of SGX stock. Amtek since appear on our list on 24 Feb, it is up More than 36%, now we are on Trailing stops for all the stocks in profit. Osim, we had a signal on 24 Feb too. Are these stocks are what you looking for? Will this help you to spend less time looking at stocks?